Though certain aspects of home maintenance are not exactly glamorous, they can still keep your home more cozy and comfortable, and also keep costs down, so they should be some of the things higher on your financial priority lists as a homeowner. Five of the most important home maintenance projects include making sure your basement is waterproofed if you have one, regularly checking to see that your windows and doors seal properly, update your appliances to maintain energy efficiency, do whatever you can to keep mold away, and be aware of how much wall and roof insulation you have. For homes with basements, there comes the trouble with walls leaking and potentially thousands of dollars of damage occurring. To prevent this, hire a professional to waterproof your basement as soon as possible. Whatever the costs are associated with it, just think of the alternative when major damage occurs and your basement is flooded, all because you didn’t get the right maintenance done before the rain or snow hit during the heavy weather seasons. Windows and doors leaking air is a major cause of energy waste. Heat escapes in the winter. Cool air escapes in the summer. And the fixes are usually easy and cheap, but do require some effort. 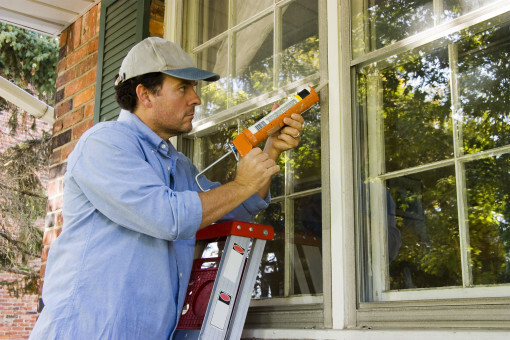 Look up hints for sealing windows and doors, and you should be able to head to your local home improvement store and stock up on all the materials that you need just for a few dollars. Much better to spend a few bucks early than shiver or sweat through the uncomfortable weather. Newer appliances are far more energy efficient as well as effective at their stated purposes. If you have aging appliances, dispose of them correctly, and then find out energy efficient appliances to replace them with. In many cases, the new stuff will pay for itself within a relatively short period of time, and you’ll be saving the overall power grid in the meantime. Mold in your house is the enemy. It smells bad, ruins the looks of certain areas, and is potentially hazardous to your health. If you want to do one thing to maintain the health level of the air in your home, keep mold at bay by using everyday mold prevention techniques regularly. If you don’t already know how much insulation is in your walls or in your roof, now is the time to check. If there are any gaps, or if you need to add extra to make the temperature of your home better, it’s a pretty easy maintenance fix you can probably do on your own.